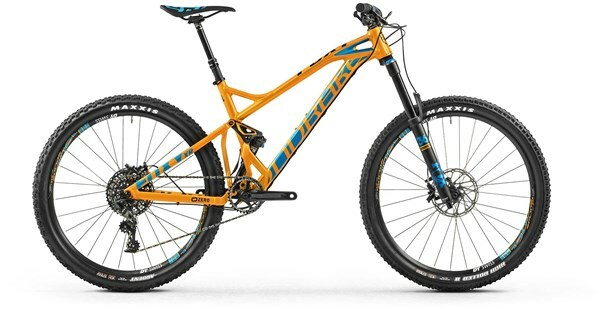 Big hitting trail bike abilities. 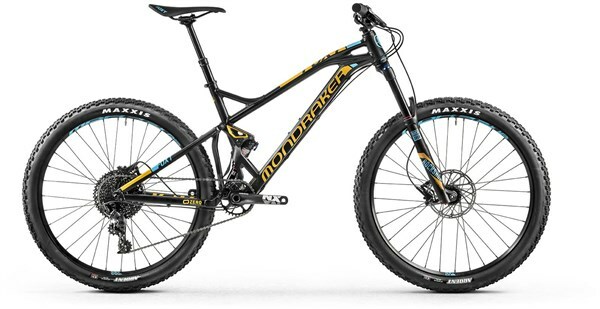 The Mondraker Foxy XR is a full sus mountain bike that offers a bit more suspension travel for aggressive trail riding. With a longer top tube the 6061 aluminium alloy frame features Mondraker’s Forward Geometry for a more stable and confident ride on steep descents as well as when climbing. A short 30mm stem offers the perfect balance and ensures that you get the perfect fit on every frame size. The dual link Zero Suspension System offers 140mm of supple MTB suspension travel that is extremely sensitive on small bumps as well as being big hit capable. The system offers Zero pedal kick back to ensure efficient use of your leg power and Zero brake jack by isolating suspension and braking forces, so the bike keeps on soaking up the bumps even when you pull on the stoppers. BOOST hub spacing front and rear adds stiffness as well as offering extra tyre clearance. Up front you get extra capabilities of the Fox 36 Float Performance fork that offers 160mm of plush suspension control on challenging terrain. 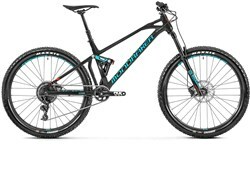 The Fox Float performance DPS shock controls the rear and features 3 position compression damping adjustment so you can adapt to the trail ahead. The SRAM GX1 1x11 speed drivetrain is combined with a Race Face Aeffect chainset and offers a wide range of gears with easy shifting and excellent chains security. SRAM Guide R brakes give you powerful stopping control in all conditions. 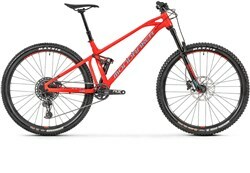 Ride every trail on the mountain on the Mondraker Foxy XR.